The Optional Hillsboro B&W Conversion Kit manufactured by Hillsboro Industries, is designed for use in all aluminum and steel Hillsboro truck beds and includes the B&W Turnover Ball. The Hillsboro Kit Part # is 74790. During the installation of the kit, the original truck bed ball assembly and flush mount cover are removed and will not be needed. The steel socket assembly included in the kit that locks in either the Turnover Ball, King Pin or Companion Hitch is installed with all required components. The hitch cover included in the kit is made of .125 Tread Brite Aluminum. 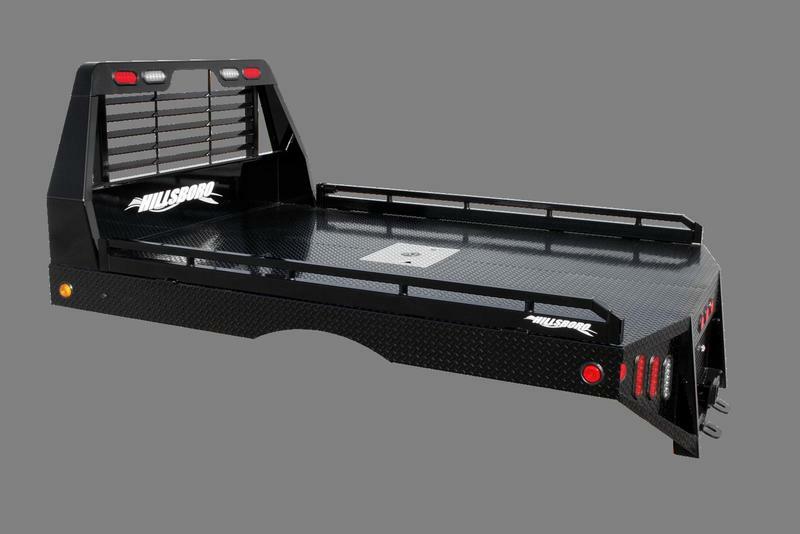 This aluminum cover is designed to be used on all Hillsboro Truck Beds whether it has an Aluminum Tread Brite, Aluminum Extruded or Steel Tread Plate floor. The New Hillsboro B&W Conversion Kits are designed to work on any Hillsboro, aluminum or steel truck bed with a serial number of 38000 and above. The new conversion kit Will Not work on any Hillsboro truck bed with a serial number lower than 38000.